Bang & Olufsen has just announced a brand new loudspeaker, the BeoLab 50. It's essentially a (slightly) smaller, and (slightly) for affordable version of the iconic BeoLab 90. But before we get onto the audio prowess of the new speaker, just take a moment to appreciate how beautiful it is. 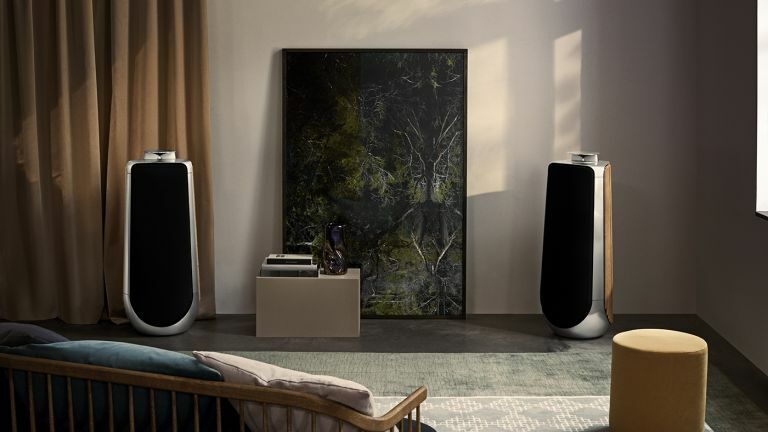 The silhouette of the BeoLab 50 is slender and smooth, punctuated by sharp floating lines and visible edges. The polished aluminium surfaces contrast with the warm oak lamellas. It's unmistakably a Bang & Olufsen speaker, and we love it. To sound great in any environment, BeoLab 50 features Active Room Compensation, using an external microphone to measure the acoustic surroundings, and applying a filter to compensate for placement and echoes. The BeoLab 50 also features Bang & Olufsen's unique Acoustic Lens Technology and Beam Width Control, allowing you to select how the higher frequency sound is dispersed. If you're having a party or watching a film, you may wish to choose the 180-degree sound mode, or if you're enjoying a new album on your own, the sweet-spot listening mode may be better suited. Perhaps the coolest feature is that when turned on, the lens elegantly emerges from the top of the device, and is gently lit, ensuring visibility both day and night. The new speakers also work with the Bang & Olufsen App, letting you set up and operate the speakers, as well as creating different listening presets. The BeoLab 50 will be available in Bang & Olufsen stores worldwide from August at a recommended retail price of £22,930.